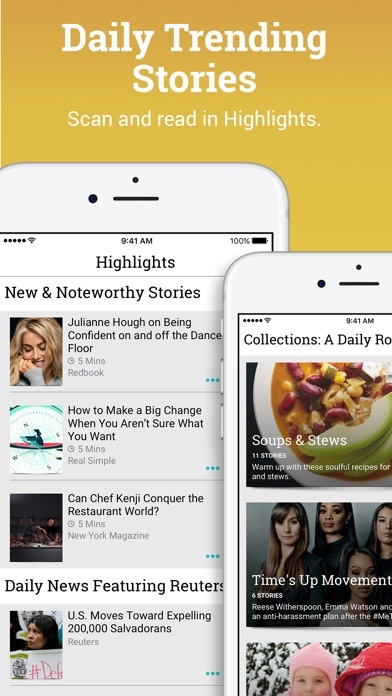 Continue to read your favorite magazines, plus so much more with Apple News+. 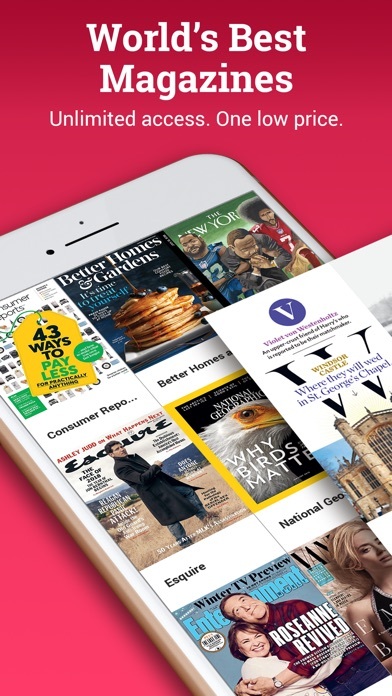 Apple News+ gives you access to hundreds of magazines, with titles in every category. Dive into top magazines and leading newspapers, with a new and improved reading experience on iPhone, iPad, and Mac. 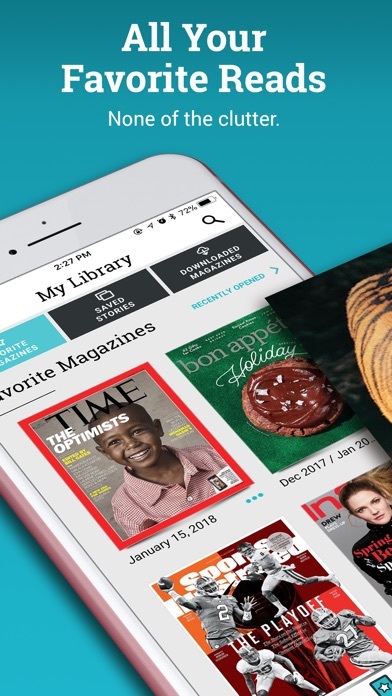 Download current and available back issues for offline reading, and get access for up to 6 family members with Family Sharing. 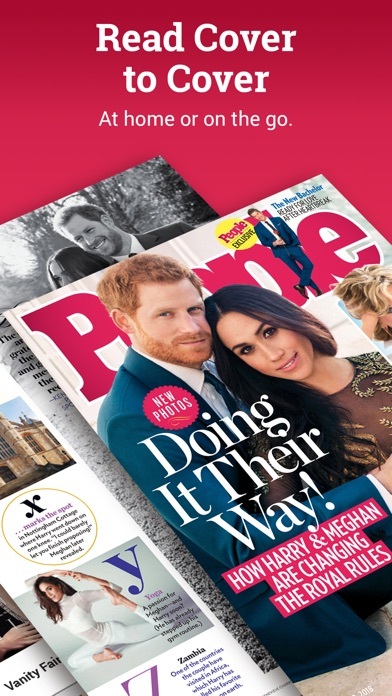 Start a 1-month free trial now and enjoy full issues of Vogue, National Geographic, Rolling Stone, InStyle, Bon Appétit, and so many more — plus The Wall Street Journal and L.A. Times. New subscribers only. After trial ends, plan auto-renews ($9.99/mo) until canceled. Texture was a fabulous app, but now that I am forced into the new apple version I can’t stand it. What a shame! I love this app it’s simple organized easy to use and gives me exactly what I need my favorite magazines all in one place. With out all the noise that the new apple news has. Just like everything apple does apple news is over the top and is full of flash but not much substance. I wish apple would learn that simplicity is beautiful. I feel that Apple will not be as enjoyable as Texture is. Apple please leave texture as is!! DO NOT UPDATE. Apple news is nowhere near Texture quality and intuitiveness. APPLE - PLEASE STOP RUINING GOOD APPS WITH YOUR GREED. And it figures that you cannot rate apple apps. 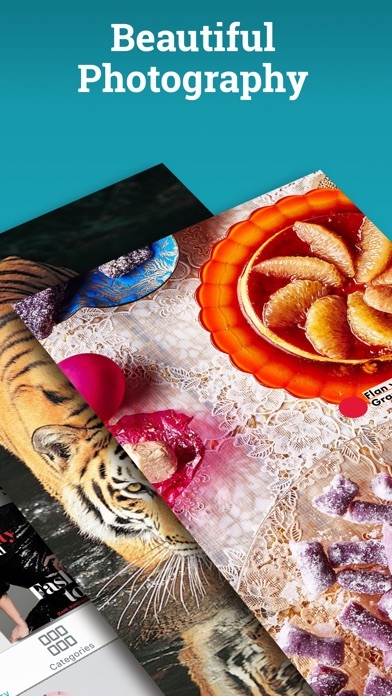 I so enjoy opening my favorite magazines in texture and curling up with a good read! Like the way it is presented. HOWEVER, DO NOT LIKE THEY ARE CLOSING. Love This Service - Apple Please Don’t Screw It Up! I am thoroughly enjoying this service. While I generally prefer to own rather than rent (eg, buying CDs versus subscribing to Apple Music), I love being able to read dozens of new issues of the available magazines each month without subscribing to each one separately. Plus you get access to a ton of back issues for each title as well (as far as I’ve seen). Each issue is, at minimum, a duplicate of the print version, so you’re seeing the same thing; some issues are more e-friendly, where an article scrolls down rather than continuing page-after-page, which is a convenient way to skip past something you don’t want to read (just swipe to the next page/article, as opposed to swiping several times to get to the next article). My only concern at this point is that Apple not screw up this great service with the merger into Apple News. I like using Apple News as well, for daily headlines, and I don’t object to the idea of Apple merging the two into one, as long as the content and user-friendliness stay the same. I encourage readers to try the service either way, Texture or Apple News+, to see how cool it is to have so much diverse content to read. Both versions have a free-trial period.